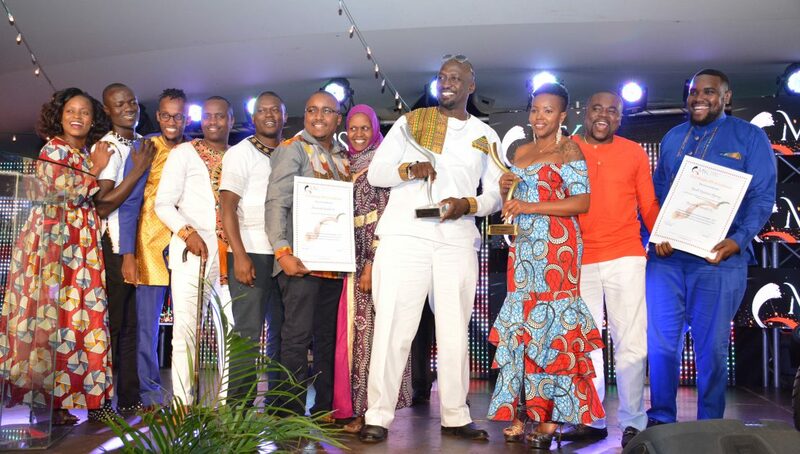 The Marketing Awards is the largest awards program in Kenya dedicated to honouring brands and teams that have shown exemplary excellence in marketing. The Awards are judged by a jury academy featuring seasoned members of the marketing fraternity. The 2018 jury will be headed by George Mudhune -Country Director Galanz. The awards have grown in leaps and bounds over the last two decades attracting thousands of entries in different categories from marketers across the country. This year’s awards will carry some of the traditional categories such as advertising and product launch. The 2018 awards will also see the introduction of new categories under the Best Marketing Mediums and Marketing Lead of the year. early bird offer that is valid till 31st October 2018!!! 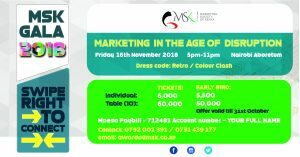 In line with this year’s MSK Awards Gala Dinner Theme “Marketing in the Age of Disruption” all our tickets shall be electronic and shall be emailed to you upon purchase. Please present either a printed copy of the electronic ticket or the downloaded ticket on your phone for a quick check in at the gate. Cash – Payment is done at the MSK office; 47 Muchai Drive, off Ngong Rd.